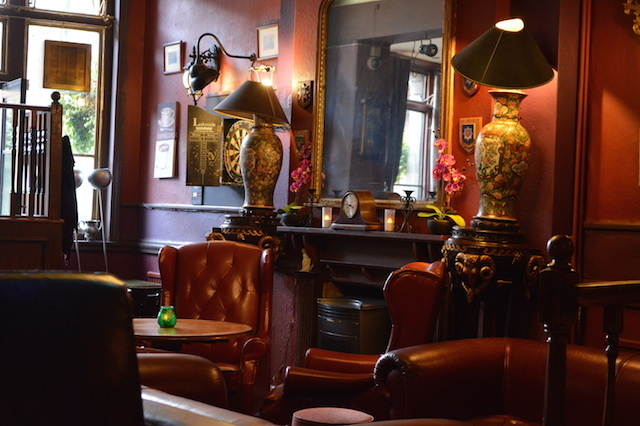 Unexpected pub discoveries are the lifeblood of the committed London drinker, and this is one of the most pleasant surprises we've had in our travels. 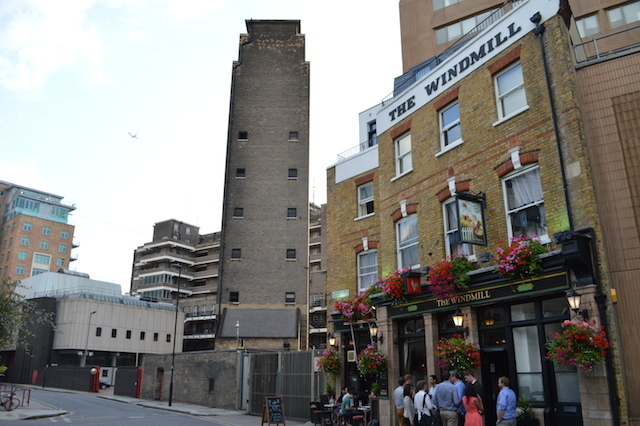 The Windmill is tucked away down the improbably named Lambeth High Street, which during our visit was bedevilled by squadron after squadron of tiny black flies. This onslaught meant a dive into the pub was necessary and what a happy accident it proved to be. The Windmill is a place of contrasts, with the front of the pub nicely lit by the large windows and the back dark and littered with strange objects and ornaments like an American speakeasy. The back wall is covered with bookshelves, upon which are not just books (including Encyclopaedia Britannica seemingly thieved from a nearby library, complete with Dewey Decimal numbers) and bottles, but also a large fireman's hose, a tribute no doubt to the nearby London Fire Bridge Headquarters. While it's no great surprise to find ornate wall carvings and a sewing machine sitting at the back, this is certainly not a pretentious pub, with a pool table and dartboard sitting proudly at the front, plus a chessboard, though you may have to find your own pieces. There's even a space invaders table, to accompany the huge tiled Invader mosaic on the side of the building. The drinks list is exceptional — in addition to a couple of fairly priced ales there's a superb list of spirits, including the longest list of rums we've seen in a while. You'll find a separate list of 21 wines to choose from. Food is an afterthought — pub staples and the odd Thai dish — but the people eating it seemed happy enough. Add all this to a pleasing mix of clientele, from hardy drinkers to families, and The Windmill is by some distance one of the most enjoyable 'Eh? Where?' finds we've hit upon so far. Beware that it does seem to be closed at weekends though. 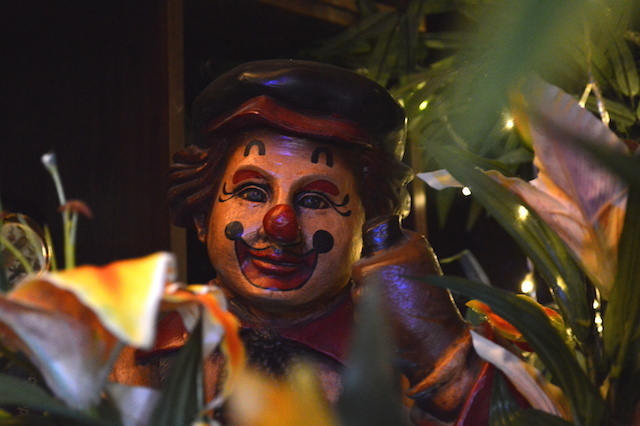 This pub has everything, including a haunted clown doll. 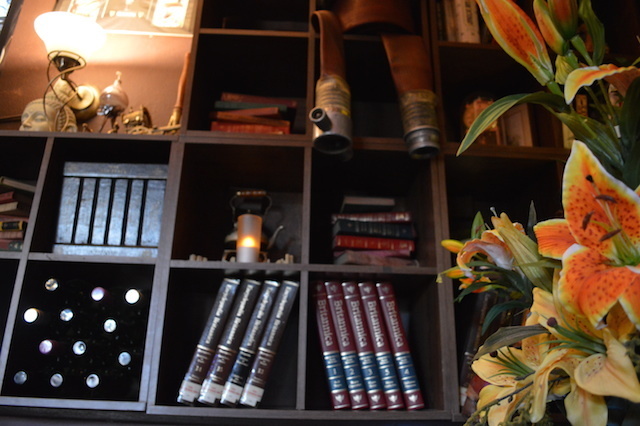 Books, bottles and a firehose. The pub sits behind London Fire Brigade's headquarters. 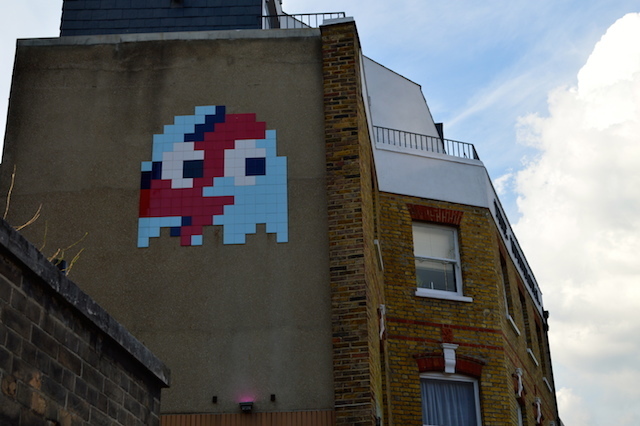 Street artist Invader unleashed one of his largest works on this pub.